These boys are NOT for sale unless noted in description! Here's my boys, each is a unique character, and all of them are very sweet. 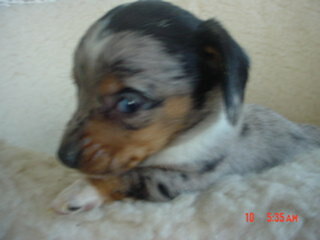 Between them and the girls, I produce excellent quality puppies in many colors and differnt patterns. 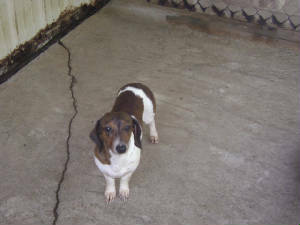 Click on their pictures to view their pedigrees. 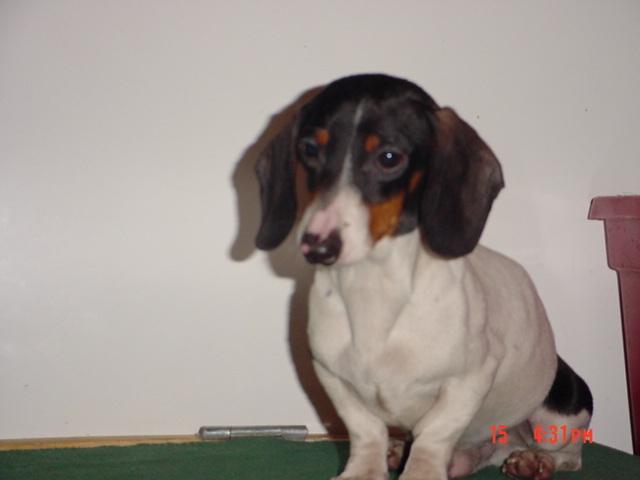 "STRIKER" is a small Black/tan smooth hair Piebald. 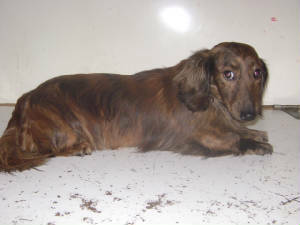 His sire is a Chocolate and Tan piebald, and he carries Blue and Issabella genes. He produces lots of colors. He weighs 9 lbs. RETIRED! SOLD! 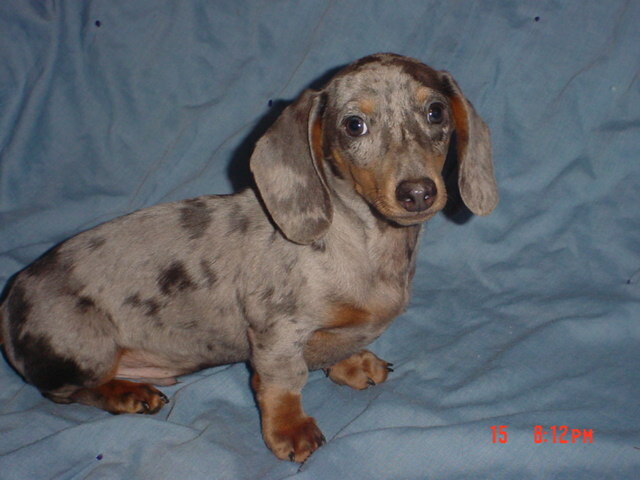 "KG'S OUTLAWED BLUE'S" 11lbs 12ozs "Renagade", is a Gorgeous Blue/Tan Dapple boy, He is Chocolate/tan sired and there were issabellas in his litter. Super sweet temperament! "Echo" "KG'S Echo's of Blue MS" is a gorgeous male out of my breeding. 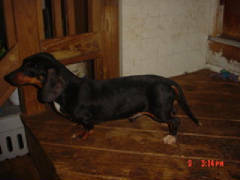 His dam was a Black/Tan Pie "Piccadilly" (see past sires and dams) and Sire is "Renagade" a Blue/Tan Dapple. 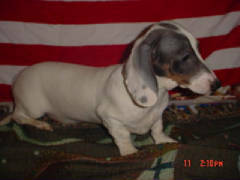 He produces awsome conformaton puppies, in Piebald and Dilute colors. SOLD. 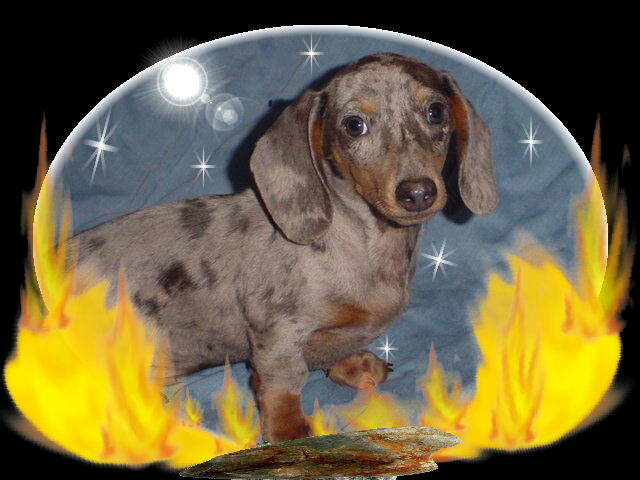 'Cooter" or "KG'S Snooty McCooty MSP" is a beautiful smooth Blue/Tan Piebald fella, with excellent conformation, he can produce long hairs as his sire is a long haired blue/tan piebald. SOLD! Red Long Hair Brindle PEDIGREE coming Soon! 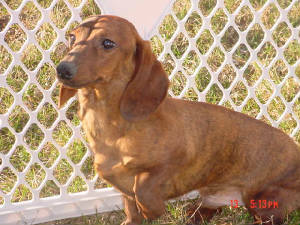 "Max" is a gorgeous red long haired brindle boy, with excellent conformation, he is english cream sired. 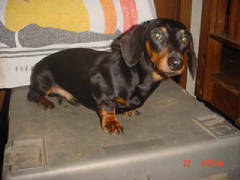 "Boots" is a black/Tan Pie Showing minimal pie (Irish Spotting) of my breeding. He has a white chest, belly, tail tip and 4 white feet. His Parents are 'Striker" and "Krystal Blue" (see past sires and dams page for her pedigree) he carries it all for color genes! RETIRED! 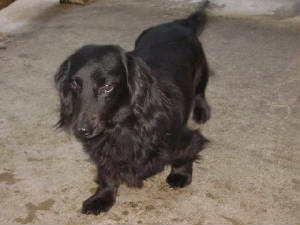 "Dakota" Is a gorgeous longhaired solid jet Black boy (No Tan points) This is a dominate color and he produces both solid black and solid chocolate puppies. He has several champions in his pedigree.